Perhaps I should mind my own business: but I would love to see more people eating vegetables for a main course. Everyone knows it is important to eat a lot of vegetables–the issue is learning how to prepare them in a way that feels satisfying. 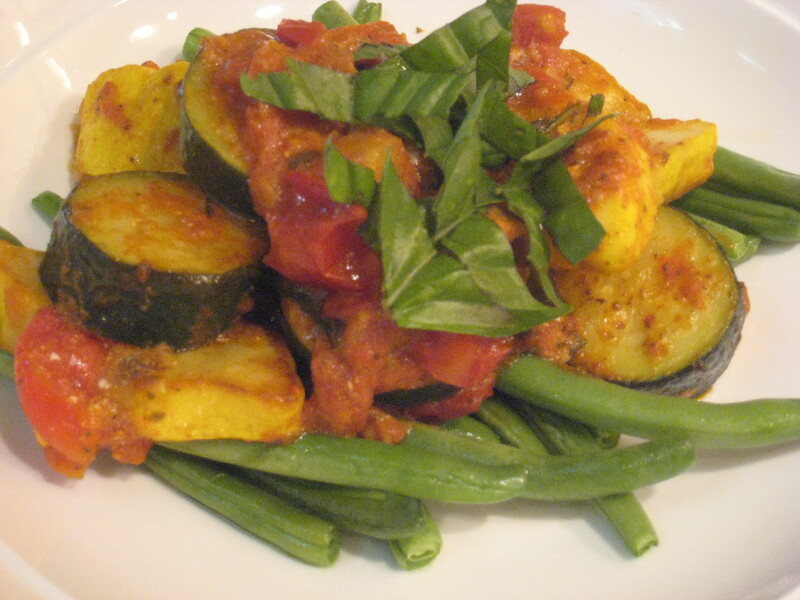 I made this for dinner tonight and it was very tasty–I’m still stuffed! 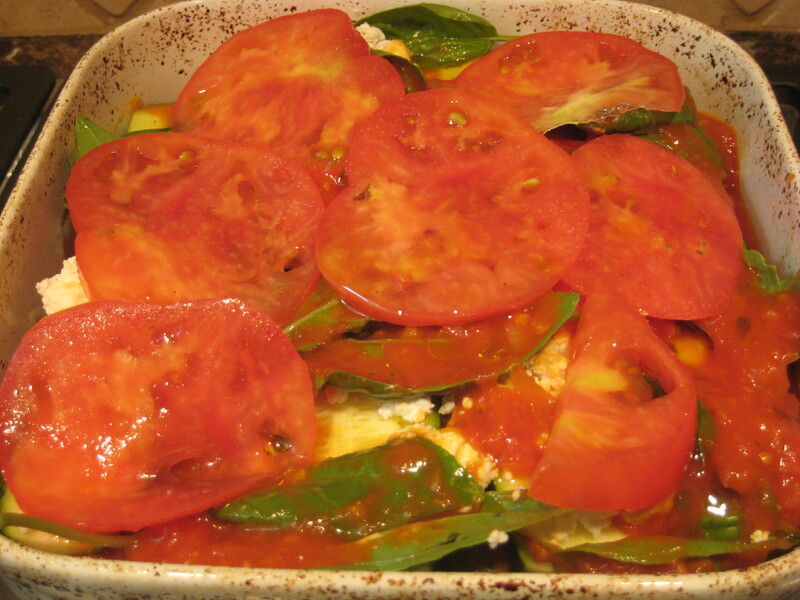 Layer tomato sauce, slices of summer squash, pesto, goat cheese, basil and sliced tomato. Top with olive oil and a dash of salt. Bake at 350 for 30 minutes. Come and add this link to this week’s party…http://inherchucks.com/2012/06/27/whats-in-the-box-32/. Looking forward to seeing you there!